NASA's Terra satellite has captured an image of the current status of the Eastern United states, with "Arctic and Siberian air masses have settled in over the Eastern U.S. triggering many record low temperatures in many states." 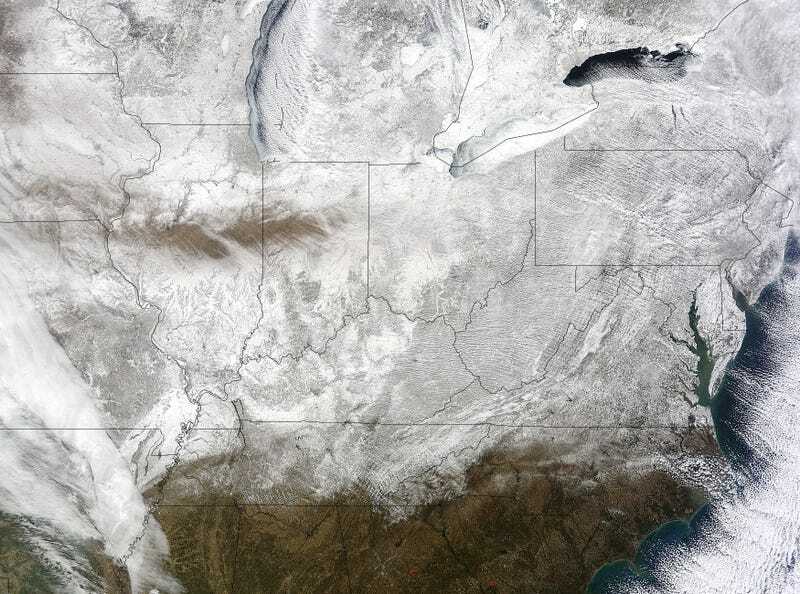 The snow cover combined with the frosty air mass made the eastern U.S. feel like the inside of freezer. The MODIS image was created at NASA's Goddard Space Flight Center in Greenbelt, Maryland. [...] Bitterly-cold arctic air is setting numerous temperature records across the eastern U.S. and will keep temperatures well below normal on Friday (February 20)"